Four Heuchera spp. (Tiarella polyphylla, “Midnight Rose”, “Autumn fallen leaves”, Heucherella “Mo-jito”) were used as research materials to analyze the effect of 6 culture mediums on the growth of potted Heuchera spp. The results showed that culture mediums had different effects on the growth of four Heuchera spp. and the mediums of 70% imported peat + 30% pearlite were found suitable for the growth of the potted Heuchera spp. and gave higher crown width and petiole length, more leaf number, and longer or wider leaves than the other mediums followed by coconut bran or 50% garden mould + 50% coconut bran treatment. The worst medium was garden mould in this test. Table 1. Effect of Culture Mediums treatment on growth of potted Heuchera spp. Note: Different small letters in each column indicate 5% significant level, respectively. Note: Different small or big letters in each column indicate 5% or 1% significant level, respectively. 叶剑秋. 庭园新优花卉品种应用系列, 花园配置中的饰边花卉 美洲矾根[J]. 园林, 2010(3): 58-59. 高燕, 宋垚, 叶康, 等. 矾根欧布西迪昂组培快繁技术[J]. 浙江农业科学, 2015, 56(6): 895-898. 张德祥, 张君艳. 新优观叶花卉矾根的栽培管理技术[J]. 林业实用技术, 2014(4): 62-63. 孙国峰, 张金政, 吴东启. 矾根杂种‘银王子’的组织培养和快速繁殖[J]. 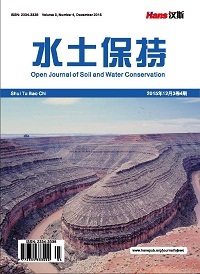 植物生理学通讯, 2007, 43(3): 500. 秦登, 唐吕君, 陈尧, 等. 夏季高温环境下3个矾根品种的光合特性比较[J]. 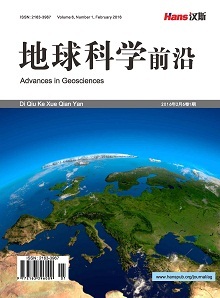 西北林学院学报, 2014, 29(3): 32-36. 王建强, 邓永成. 低温胁迫对银叶菊和矾根抗寒生理指标的比较研究[J]. 中国农学通报, 2014, 30(7): 224-227. 章志红, 曹慧敏, 周士景. 美洲矾根品种紫宫殿组织培养与离体快繁研究[J]. 江苏农业科学, 2011, 39(5): 69-71. 陈宏, 唐莹, 施月欢, 等. 矾根的组织培养与快速繁殖[J]. 上海农业学报, 2011, 27(4): 80-82. 王晶, 刘立功, 左丽娟, 等. 柔毛矾根组培快繁技术研究[J]. 北方园艺, 2012(23): 116-118. 潘梅, 符瑞侃, 吕德任, 等. 不同栽培基质对4种姜科花卉组培苗移栽成活和生长的影响[J]. 热带生物学报, 2016, 7(3): 363-367.